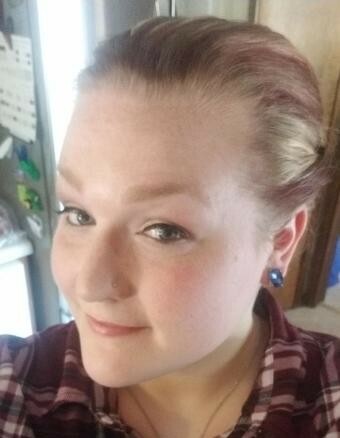 Of Waupaca, age 28, passed away on Monday, November 12, 2018 at home. She was born in Waupaca on November 7, 1990 to Jeffery and Patricia (Moerschel) Miller. Brianna was a member of First Assembly of God Church. She graduated from Waupaca High School in 2009. Brianna was born to help; she loved taking care of other people and always put them before herself. She loved drawing and horses. She will be sadly missed by her parents: Jeffery and Patricia; sisters: Tina King and Alysha (Cole) Czaikowski; niece and nephew: Adrianna Miller and Devin King, grandparents: Eugene and Vivian Moerschel, great grandma: Ruth Denham, aunts, uncles, many other relatives and friends. The Funeral Service will be on Thursday, November 15, 2018 at 12 p.m. at First Assembly of God Church of Waupaca. The visitation will be on Thursday at the church from 10 a.m. until the time of the funeral. Burial will be in Spencer Lake Memorial Park at a later date. The Maple Crest Funeral Home of Waupaca is assisting the family with arrangements. In lieu of flowers a memorial has been established.